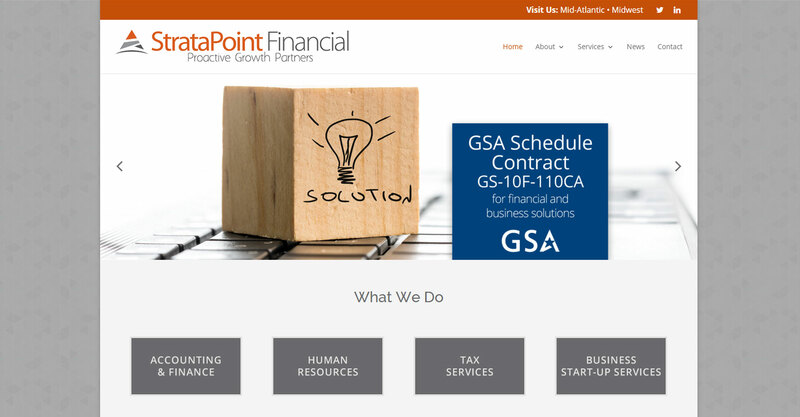 StrataPoint Financial assists firms with their accounting, finances, human resources, and taxes, and they are headquartered in Reston, VA. This website was built with the Divi theme from Elegant Themes and included a custom logo slideshow, a blog, and a contact form. 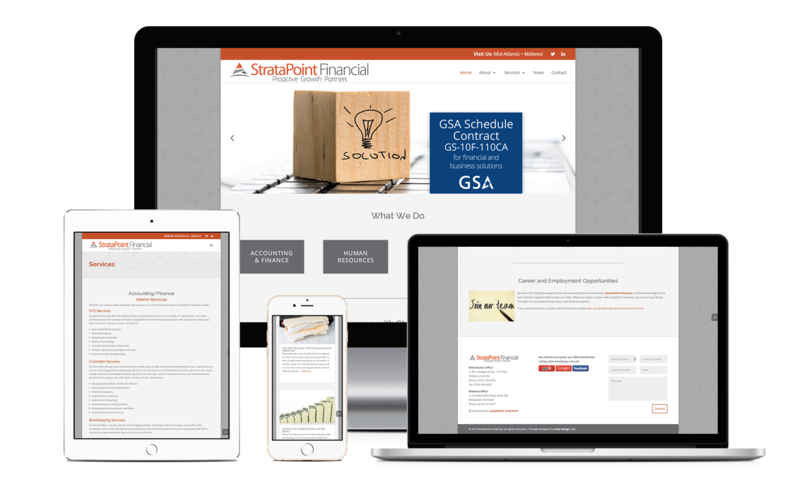 My company needed a new website built. We had an idea of what we wanted but being that this was our first time going through the building process we had no idea what to expect. Jessica was FANTASTIC with all of our questions and constant changes. She goes above and beyond to make sure the product she is giving you is exactly what you want! I would recommend her to everyone I know who needs a site built! Thanks so much Jessica!